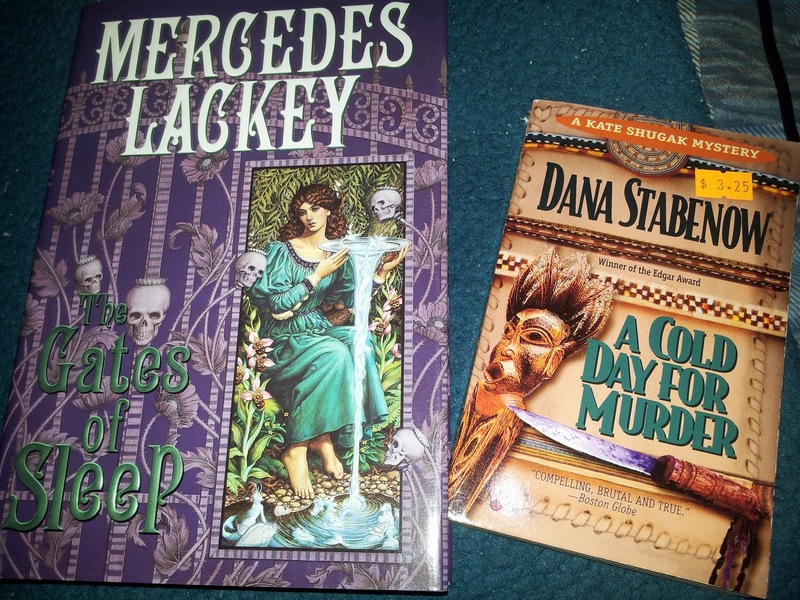 After reading The Serpent’s Shadow, I was still in the air about how quickly I wanted to pick up another Mercedes Lackey Elemental Masters book. Removing this post from all the details on that hesitation, I’ll just link to my video thoughts on the book. Nevertheless, it goes without saying that if you find a book you’re even slightly interested in nudged on a shelf for a $1, you may as well get it. So, as luck would have it, I got this pristine copy of the second book in Lackey’s Elemental Masters series, The Gates of Sleep. Why the hell not, eh? Might as well for the future. Now this next book was one that had me gasping when I uncovered it during the whole browsing process. Seriously, I was that surprised and pumped with glee. A Cold Day for Murder is the first book in Dana Stabenow’s Alaska-based Kate Shugak mystery series. I bought the third book back in March. Needless to say, it’s been sitting around waiting on the first. But, no lie, I really couldn’t believe my eyes when this book struck me. Well, that’s it. Not really intentional, but hey. When you’re in the stacks, you’re in the stacks!